If your boiler is over 10 years old it could be costing you quite a lot of money to keep it running as older boilers tend to waste a lot of energy and can be more harmful to the environment. Research shows that older boilers convert as little as 60% of the fuel that they use, making for a very inefficient way to heat a home and produce hot water. We install Worcester, Bosch Group, condensing boilers that have been proven to improve efficiency by 90% which in turn means you could be saving 30% on your heating bills. 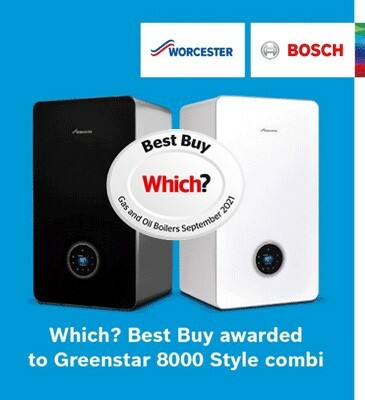 Worcester has a variety of these styles of boilers to suit a range of needs, which you can view here: www.worcesterbosch.co.uk however, we would also be happy to help explain these to you. If you think your boiler is unpredictable; if you find that you have hot water in the header tank or it is suddenly very loud, it may not mean you need a new boiler, but it is something that an engineer should take a look at. We can then advise on the best procedure for you. 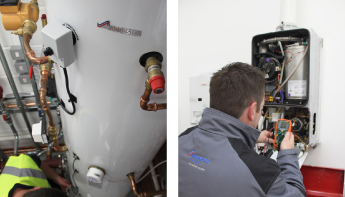 Our aim is to ensure all our customers have the most cost-efficient boilers and that their home's heating & hot water system is functionally sound. 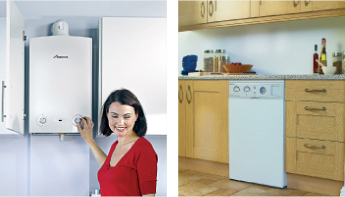 Talk to us today about any boiler installation or repair questions you may have.